One of the best and easy way to present your own web design projects is to use Mockups. You can make an effective and masterpiece of a project by using these mockups to present to your clients. A web design mockup is a great way to make an impression with your artwork. Creating your own mockup can be very exhausting and intense process, therefore, downloading a free browser mockup is your best option. Mockups can be an easy way to present your web design projects. We have gathered here some of the 15 Best Web browser & presentation mock ups. These 15 Best Web browser & presentation mock ups are perfect for you if you want to present your web design projects on some of the most popular browsers like Google Chrome, Mozilla Firefox and Safari. All these mockups are available in PSD format and you can use them easily. There is no second guessing about how much graphic and web designer’s work hard to make great designs. However, there is one more thing, that if the work is not presented in the right way, then all the hard work goes in to vein. That’s why it is very important that you showcase your work in the right manner and in the right way. We have gathered here the 15 Best Web browser & presentation mock ups, which were have handpicked only to help you create the best project. You just need Photoshop PSD or Adobe illustrator to edit these mockups. There is a variety of Best Web browser & presentation mock ups which we have listed in this post. So, you can select the design which suits your project the best. These Web Browser Templates are for all popular browsers like Firefox, Safar and Google chrome. Use this superlicious free Free Perspective Website Best Web browser & presentation mock ups. Use this to present your own website in a beautiful way. This mockup has HD quality which is also totally customizable background.This beautiful free perspective mockup for websites can empower you to showcase your own project. This simple set of Best Web browser & presentation mock ups is very elegant. It is a minimalistic style and you can customize it according to your own project. Download this amazing mockup for free. Download this Realistic 3D Website showcase Mockup with expression for your website. You can also make a design presentation in few seconds. This PSD file comes with Smart-Object, so you can easily substitute the mock-up content quickly. Download this Safari Browser Template for free. It has a beautiful design with blurred background. You just need to insert your design in the browser; automatically you get the similar image on background with blurry effect. In this Web browser frame psd mockup you need to add your image inside the smart object and enhance your work. This is an amazing web design which all designers need. Download this Free Safari web browser Photoshop mockup set to present your website templates and theme. You will have a super professional end result with several variations. You just need to Drag &Drop smart objects, background with smart object, perfectly layered and grouped. There are 3 pre-made scenes and has a great look but without browsers header bar. Download this free perspective website mockup mockup and beautifully present your own website designs. This mockup has a HD quality perspective mockup features. It also has 3 highly detailed display sizes in isometric view. You can easily customize the background. Download this elegant isometric PSD mockup. Now you can showcase your app design with this great mockup. The smart layers of this mockup includes, customizable background. Enjoy this mockup and enhance your work. Download this multi-screen mockup. You can easily add your own app screens. you can also present your mobile app with an ariel view. Enjoy this mockup and enhance your work. Download this mockup. You can showcase your own work with this great clean and modern browser mockup. Edit your work easily by using the smart object in PSD file. Every element is in vector shape. Enjoy this mockup and enhance your work. Download this Safari Browser Template for free. It has a modern design with blurred background effect. You just need to insert your own design in the browser. automatically you get the similar image on background with blurry effect. In this Web browser frame psd mockup you need to add your image inside the smart object. Just give your work the best look possible. Download this New Safari OS X Yosemite web browser & presentation psd mock ups for free. It features vector shapes which are totally editable layered psd file. It just needs one-click screen replacement. This is great when you want to showcase your work. Just click on the layer named ‘PLACE IMAGE HERE’. Drag your image above it and press Ctrl+Alt+G and there you go. A nice, clean way of showing off your creation. This free is a beautiful Chrome Best Web browser & presentation mock ups. This chrome browser mockup design is one of the best mockups. This design is also backed in adobe illustrator. This means you don’t have to worry about the quality of the design. You can use this Flat Browser mock up design for any kind of use. Download this elegant and uniquely designed Best Web browser & presentation mock ups for free. It is suitable for all kinds of web projects, print projects and presentations. 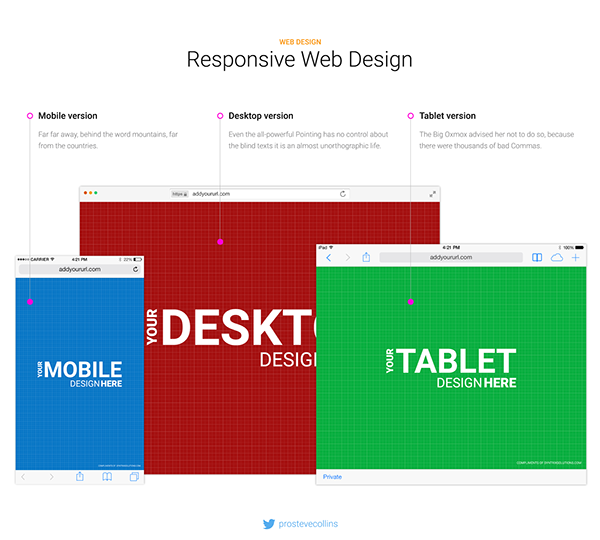 Download this free .psd responsive Best Web browser & presentation mock ups. It has smart objects which will display your work. It is a consistent and solid bundle to display your design like a boss. It includes template mockups for Mobile, Tablet, Watch and Desktop.